*Purchase Products from OUTSTANDING BLACK OWNED BUSINESSES EVERY MONTH on an automatic order! *Have my order delivered IN ONE BOX right to my front door EVERY MONTH! *I can change out products EVERY MONTH, and keep my Faves! *I purchase my (Natural/Non-Toxic) Personal Care, Skin Care, Hair Care, Makeup, Health & Wellness Herbal Medicinal Teas- (Moringa, Soursop) Tinctures, Plant Based Supplements, Laundry Care, Africentric Books, DVD's, CD's, Posters, Fabric, Jewelry and more! LOOVVEE IT!!! *I Get DIGITAL CASH BACK with EVERY PURCHASE! Love, Love That! 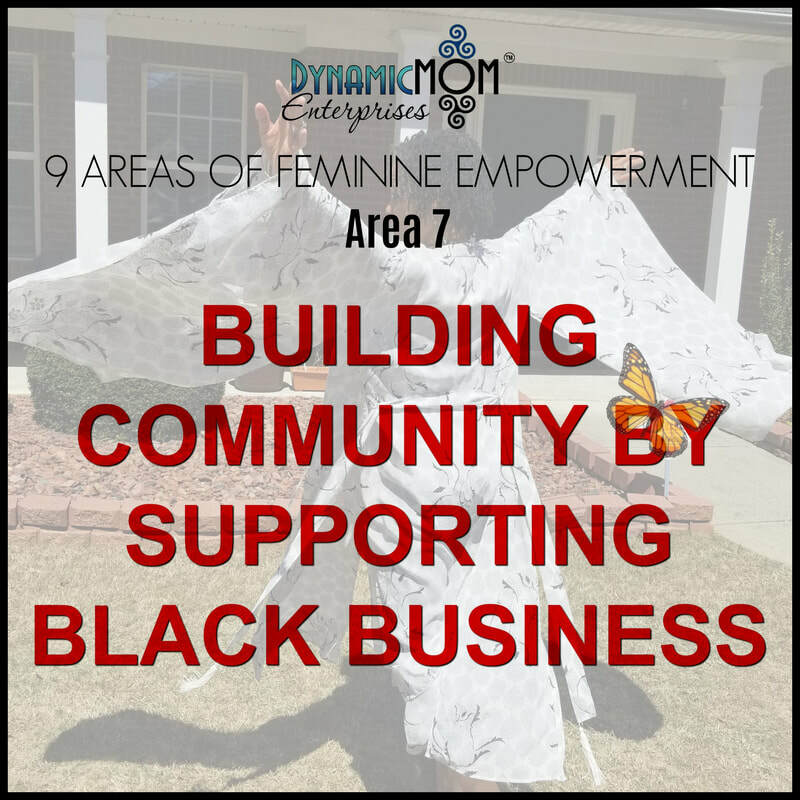 "To Get Millions Of Black People Buying ​From Black Owned Businesses Consistently!" Every time a Beautiful Black Sistah or Brotha shops here through my affiliate link, I am compensated! ​Circulating The Black Dollar Within The Black Community! Ase'! 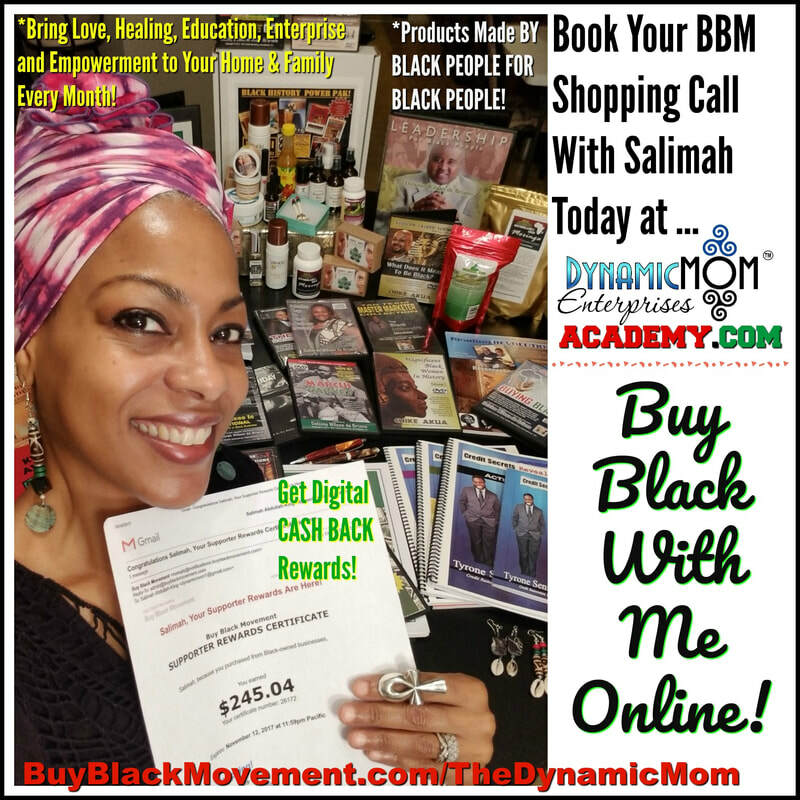 "BUY BLACK MOVEMENT (BBM) SHOPPING CALL"
​We'll do the Happy Dance when we're done! ​SCHEDULE A CALL WITH ME and JOIN OUR POWERFUL COMMUNITY! © COPYRIGHT 2019 Salimah Abdullah-King.